I am nourished here, loved here, held here. I scoot back, tuck in just right. The one-word prompt this week: COMFORT. Some lovely reading, some creativity, some beauty for the weekend? Nish Weiseth–A Personal Revival–Absolutely this. If you can only read one thing on this list, this one. hill+pen–Bring On The Rain–Words escape me, trying to describe this write by Amanda Johnston-Hill. Just read it. This is sacred. This is beautiful. This is God in our midst. The G.O.S.P.E.L.–This. is. wonderful. 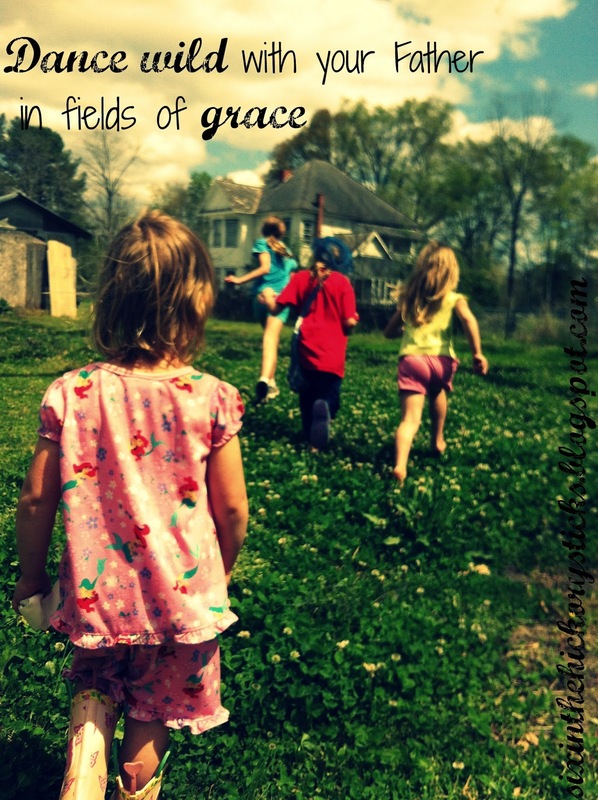 The girls and I listened and inhaled truth and exhaled grace. For your weekend–a reminder of The. Most. Important. Thing. Carry it with you all weekend as you rest in Him? Jennifer Lee–How To Really Shine (Even If You’re Feeling Small)–Whoa, lovely Jennifer mentors and gently encourages the moms and all of us with her exquisite words, her hushed lullaby writing…. Ann Voskamp–The Ultimate Girlfriend Gift–Oh, I just can’t get over Ann’s words, and every time she writes on this topic, my heart aches, and my soul sings, and I long to do crazy things…. A must read. We your sisters, will sing your beauty when you see yourself ugly. We your sisters, will sing you wanted when you see yourself broken. We your sisters, will sing you hope when you only feel hurt. Chronicles of Grace– Kelli Woodford–And So It Begins…I. love. this. Yes, yes, yes! Janel Andrews–This made me weep so very good. MANY STEPS from Takayuki Akachi on Vimeo.